In the wake of this week's unveiling of Sony's take on motion-controlled video gaming, and Microsoft's push for their motion-controlled gaming well under way, Kotaku sat down with Nintendo of America's president Reggie Fils-Aime to ask if these high-def entries into a market Nintendo so dominates is concerning. Do the coming of Xbox 360's Project Natal and Playstation Move mean that Nintendo should start thinking about their next console? 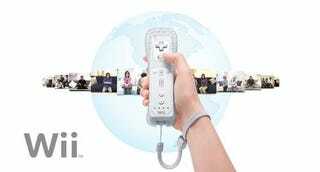 Is it time for a Wii HD? "For us high definition by itself is not the next frontier," Reggie Fils-Aime, president and chief operating officer of Nintendo of America told Kotaku. "For us we need to provide a whole new compelling experience in our next generation." And that moment won't be tied to an arbitrary lifespan for their current console, he added. "When Mr. Miyamoto goes to Mr. Iwata and says. 'I have this great idea and I can't do it on the Wii,' that's when there will be a next generation console. What that includes we'll see," he said. "I think Mr. Miyamoto himself has said that he is very interested in a high-definition experience, but to be 120 percent crystal clear, HD by itself in our view is not enough to go for a new console past the Wii." Instead Nintendo's next console will need to be something "consistent with what we brought to market with Wii and with DS." "It will be mainstream. It will be encouraging more and more consumers to get into this category that we love. It will provide new, unique, compelling experiences that are meaningful to that large potential consumer base. "Those are the principles that drive us." Nintendo made a splash in 2005 when company president Satoru Iwata unveiled the console to gaming press at the Tokyo Game Show. The concept that drove Nintendo to concentrate on control mechanics over faster, more powerful processing power and graphics was the idea of the Blue Ocean. There are plenty of consumers in the sea, the logic goes, why get into a tooth-and-nail fight for them over one specific area, like who has the most powerful gaming system? But Nintendo's move into motion gaming, and the company's successes in those mostly uncharted waters, could be interrupted now that both Sony and Microsoft are trying to once more compete directly with the console maker. I asked Fils-Aime if Nintendo's next generation console would be an iteration of the Wii, a move back to the pursuit of more-muscled gaming machines or another attempt at reinventing what people view as important to gaming. "I think a hallmark of Nintendo is that we are constantly trying to innovate," he said. "I think we would have been embarrassed to do what our competitors are currently doing. "So, all I can tell you is that we will innovate. We will provide something new. Something that the consumer and the industry will look at and say 'Wow, I didn't see that coming.'" And despite last month's relatively weak showing in hardware sales, Nintendo doesn't feel like a new console will be coming anytime soon, Fils-Aime said. "We just celebrated our fourth holiday," he pointed out. "During that December we sold over 3.8 million units just in the United States. We sold so well in the holiday that we are now in a position of once again chasing consumer demand. "What I can tell you is that that seems to suggest that the Wii still has a very long, very vibrant life in front of it."